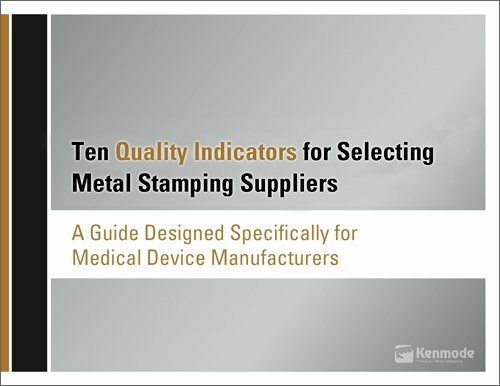 This is the fourth in Kenmode's blog article series entitled "10 Metal Stamping Quality Indicators for Medical Device Manufacturers" to help medical device manufacturers evaluate the level of quality in their metal stamping suppliers. The series will consist of 10 articles, published weekly. Each article will focus on a single quality indicator. Risk management has long been a concern for medical device manufacturers, but it appears that the mounting costs of quality failure are making risk management an even higher priority. The FDA study entitled Understanding Barriers to Medical Device Quality, published in October 2011, states that, in the past, “the benefits of launching a product in the market early were far greater than the costs of doing so without high levels of quality performance and reliability.” That balance is shifting, as the risk of quality failure increases with more complicated devices, along with the costs of quality failure, which frequently leads to a significant drop in the company’s share price. 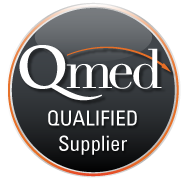 One of the major quality risks identified by manufacturers in the FDA survey concerns supplier quality. Sophisticated metal stamping suppliers understand the importance of risk management from the very beginning of the design and planning process and follow best practices in mitigating risks from design to launch to production and monitoring. Metal stamping engineers should be able to collaborate with their OEM clients in understanding the product risk and translating that understanding into reducing manufacturing risk by identifying, assessing and prioritizing associated risks and working to mitigate them. One of the best tools used in risk management and risk mitigation is Failure Modes and Effects Analysis (FMEA), a process pioneered in the automotive industry, which applies to medical device stampings as well. Failure Modes and Effects Analysis is the process used to identify possible risks in design, manufacturing and/ or assembly of a product or part and identify a risk priority number (RPN) that can be used to prioritize the activities in addressing failure modes in order to reduce the inherent risks. Failure modes refer to the ways that a product might fail and its probability, and effects analysis refers to the potential consequences. 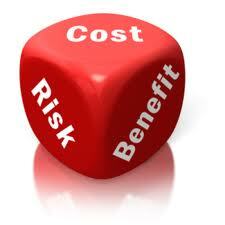 The aim is to reduce or eliminate failures, starting with the most critical specifications.